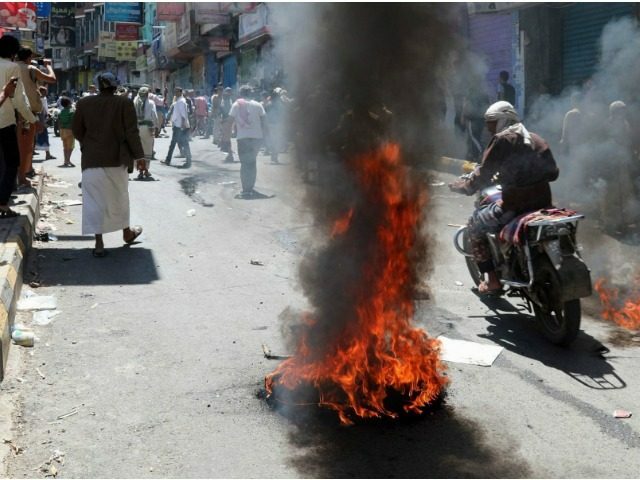 President Trump on Tuesday vetoed a resolution which would put an end to America's support for the Saudi-led military campaign in Yemen, The Hill reported. "I am disappointed, but not surprised, that Trump has rejected the bi-partisan resolution to end USA involvement in the horrific war in Yemen", Sanders said. "This resolution is an unnecessary, risky attempt to weaken my constitutional authorities, endangering the lives of American citizens and fearless service members, both today and in the future", Trump wrote explaining why he issued the veto. Trump argued that United States support for the bloody war between the Saudi-backed Yemeni government and Iran-aligned Huthi rebels was necessary for a variety of reasons, "first and foremost" to "protect the safety of the more than 80,000 Americans who reside in certain coalition countries". Democratic Congressman Ro Khanna, sponsor of the resolution, said Trump was "risking the lives of millions of Yemeni civilians to starvation, deadly airstrikes, and the war crimes of the Saudi regime". The US has provided billions of dollars of weapons and intelligence to the coalition. With the resolution, members of Congress were acting on their concerns about the thousands of civilians killed in coalition airstrikes since the conflict began in 2014. Mike Lee, R-Utah, tweeted: "The people of Yemen desperately need humanitarian help, not more bombs". The fighting in the Arab world's poorest country has left millions suffering from shortages of food and medical care and has pushed the country to the brink of starvation. Since 2015, the US has provided support for the Saudi-led coalition, including intelligence sharing, logistics support, and, until recently, in-flight refueling of other countries' aircraft. The Senate vote last month was 54-46. "Coalition continues to work without interruption to support peace through United Nations led Stockholm Agreement & its commitment to the humanitarian & political dimensions of the Yemen crisis unshakable". Trump vetoed that resolution last month.